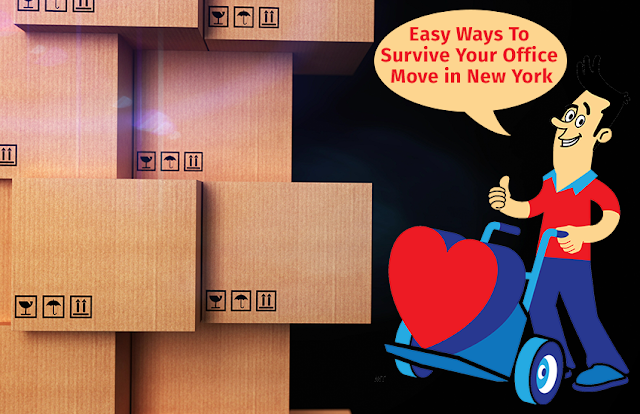 In this article we will dispense hints and strategies to make your moving experience easy and hassle free. By providing you with some suggestions, we hope to save you time, money and a heap of frustration. Here are a few tips that if applied to the beginning of your relocation plan it will save you money, save you the frustration of dealing with fraudulent moving companies and will assist you in choosing the correct company. The most important part of moving is establishing a course of action. A plan that will begin pre-move and will organize every aspect of the project. Start planning as soon as you have decided you’re moving. Before you call a moving company, decide on what is going, where it’s going and when you will be moving. Selecting what furnishings you will keep in storage, move, donate or throw away; will save you and the mover’s time. Identify what furniture will not fit into a new home or apartment. Ask the moving companies if they offer a storage facility. Researching will guarantee you a trouble-free move and quality service that is guaranteed. It’s important to take the time out and read some users’ reviews that may be on some review websites such as Facebook, Google + and MyMovingReview. This will help you get organic feedback from previous customers. Also be aware that not all reviews are organic and real reviews. Fraudulent moving companies tend to hire people that will constantly right them reviews in order to keep the bad reviews hidden under the pile of fake good ones. Once you’ve selected the best moving company in the area, you should start doing some extensive research on the company. You never want to give your hard earned belongings and lifetime valuables to a company that may damage, sell or steal your items. Fraudulent companies have been on the rise especially in the New York, New Jersey area. Making sure before selecting a moving company can ultimately save you thousands as well as the pain of losing your intrinsic items. The best way to avoid this is by checking the USDOT number. The U.S. Department of Transportation keeps a concise electronic record of all professional movers, their identification, size, commodity information and public records. This information is free and can be checked online for the purpose of acquiring a reputable licensed moving company. Be aware that moving companies that have been certified by The Better Business Bureau will allow you to obtain more information about certifications. When you have finally selected to call a good company, be aware that there are two moving estimates. Moving estimates can be either binding or non-binding. A non-binding estimate is supposed to give you a general idea of the final cost. This is not the final price that is paid but rather a general ball park figure. The non-binding estimate is not the final cost and it is not a contract. The movers must clearly state that the cost of the move is non binding or binding. They must explain to you how the final charges may exceed the cost. This non binding estimate must be given to the customer free of charge. The binding estimate is a written agreement that if no new element is added to the move the price stays the same. Be aware that final price is only final if nothing changes during the time of the move. If any unforeseen item or situation is introduced then the price is legally able to be altered by the Foremen. When going with a binding estimate a lot of companies will charge you an additional price for having this estimate be a binding one.